In the last two decades, after pioneering the outsourcing business, India has emerged as one of the major contributors to the outsourcing industry. It has successfully delivered outsourcing solutions to native English speaking nations including UK, USA, Australia, Canada and many more. Accounting is one of the major services offered by Indian outsourcing companies after data entry, data mining, data processing and document management. English being the official language of India, backed up with low costs can be considered to be the main reasons for this emerging phenomenon. And as such Indians have that reputation of being hardworking and resourceful, across the world. Outsourcing firms based out in India are extremely proficient at performing their tasks in stipulated time frames. Equipped with latest accounting software, they stay abreast the latest developments in the accounting field across the globe. You can leverage their expertise though not paying them full time salary; instead you end up paying only half for the number of hours they worked for you. Outsourcing helps you as a business to focus more on core business activities that directly relate to the revenue earning process. Though really crucial, the back office activities at times act as a barrier towards more productive activities. By outsourcing all such activities, the profitability of the organization can be increased. Maintaining in-house teams, activities including recruitment, training and retention etc., add up to the overall budget of the organization. Payroll, training, infrastructure, training and development, allowances and many more costs are the ones you can save by outsourcing accounting services to India. Remuneration charged by the outsourcing companies in India, is way less as compared to the service rates in the developed countries. Your organization can go ahead and invest all this saved money, in core functions for optimizing its commercial potential. Even a single error can spoil the entire process and hence it is more than necessary that accounting tasks are performed more efficiently at a scheduled place. Getting over the accounting tasks in the hustles of a routing office environment is therefore not advisable. Outsourcing service provider companies do have this kind of infrastructure to support client requirements. Outsource accounting firms in India are known for their professional and accurate results. Upon outsourcing accounting activities to India, you are supposed to deal and manage the contractual agreements only, however in case of in-house teams, you will also have to monitor the work upon completion and provide requisite training. The first option according to me is really the one to go for. We all understand and agree to the utmost need of maintaining the secrecy of company accounts. History is a witness that hiring a person in-house at times has proved risky to a lot of businesses. At the same time, the terms and conditions when it comes to data confidentiality of outsourced employees or even the outsourcing service providers, is what can make you feel a bit at ease. Equipped with latest tools and technologies, expert and experienced professionals, and overall domain experience is what makes them really resourceful, in order to fulfill all desires of a specific kind of an output. As these employees hold huge experience of handling various kinds of projects, they ensure delivering satisfactory results for each of your tasks. And this is one of the most prominent reasons why outsourced employees are given first preference to outsource accounting services to India. This was to give a fair idea and a genuine insight about the benefits of hiring the accounting services of outsourcing firms based in India. Dr. Devaansh , with a career spanning over 17 years, has played a variety of senior roles in global business process solutions, accounting & taxation, financial planning, regulatory compliances, mergers & acquisitions, corporate policy designing, organizational restructuring, human resources set-up, business process re-engineering and many more. 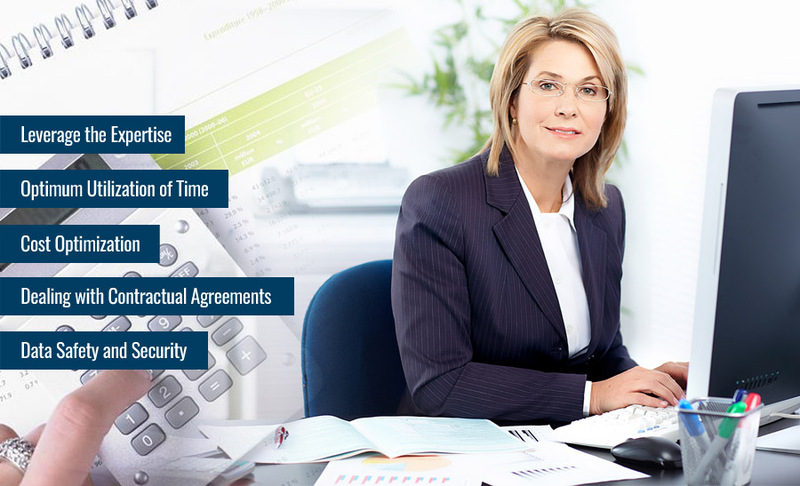 An expert at accounting, bookkeeping solutions, finances, international trade, international banking, strategic alliances, corporate strategy and legal areas, is also a visionary, who assists clients with operations in multiple economies, manage their overall accounting needs, financial planning and performance analysis reports of group organizations. and maintain bookkeeping services for you.